We are very glad to inform all the faithful followers that we are working to produce high quality prints and shirts of visual text messages to sell. At first we are a bit hesitant on putting up a store, as we originally intended the project to be solely directed to online blog posting. As our community grows, new ideas, interest emerges and the demand of our followers needs to be met. 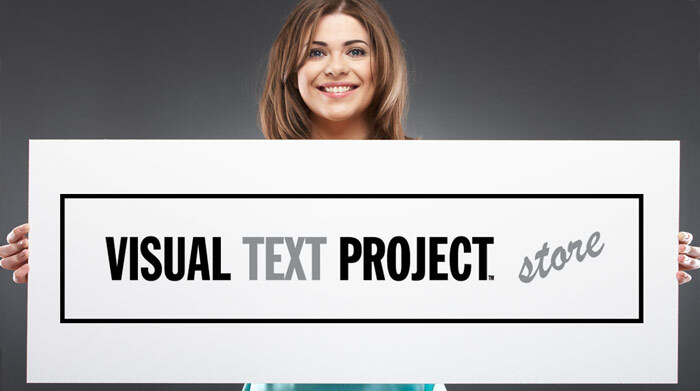 We would like to thank all the people who have expressed their interest and voted for their favorite visual text artworks, for their patience and awesome support. The store will be available soon through Zazzle. If you have any request, even just to let me know about your favorite artwork and your country, please don’t hesitate to contact us via email, FaceBook, subscribe to the blog or feed, so that we can keep working on putting things together.